Latest hospital injury fines include crackdown on antibiotic resistant germs. The punishments come in the third year of Medicare penalties for hospitals with patients most frequently suffering from potentially avoidable complications, including various types of infections, blood clots, bed sores and falls. This year the government also examined the prevalence of two types of bacteria resistant to drugs. Forty percent of the hospitals penalized this year escaped punishment in the first two years of the program, a Kaiser Health News analysis shows. Those 306 hospitals include the University of Miami Hospital in Florida, Cambridge Health Alliance in Massachusetts, the University of Michigan Health System in Ann Arbor and Mount Sinai Hospital in New York City. The second bacteria measured for the penalties is Clostridium difficile, known as C. diff, a germ that can multiply in the gut and colon when patients take some antibiotics to kill off other germs. It can also spread through contaminated surfaces or hands. 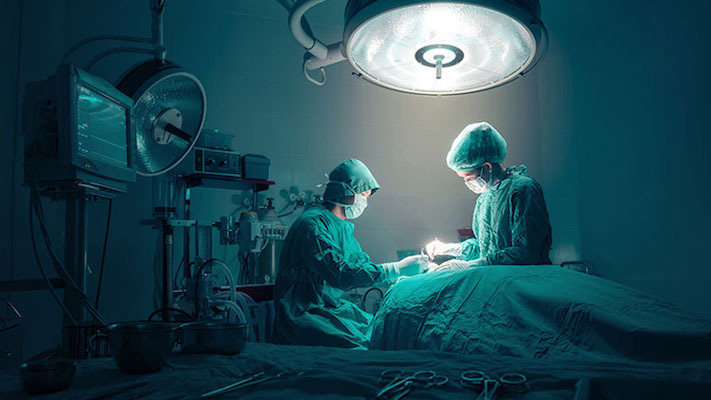 While it can be treated by antibiotics, C. diff can also become so serious that some patients need to have part of their intestines surgically removed. C. diff can cause diarrhea and can be deadly for the elderly and other vulnerable patients. That inflexible quota is one objection the hospital industry has with the penalties. In addition, many hospitals complain that they are penalized because of their vigilance in detecting infections, even ones that do not cause any symptoms in patients. Academic medical centers in particular have been frequently punished. “The HAC penalty payment program is regarded as rather arbitrary, so other than people getting upset when they incur a penalty, it is not in and of itself changing behavior,” said Nancy Foster, vice president for quality and patient safety at the American Hospital Association. Federal records show that 347 hospitals penalized last year will not have payments reduced because their performance was better than others. Those include Harbor-UCLA Medical Center in Los Angeles, the Johns Hopkins Hospital in Baltimore and the University of Tennessee Medical Center in Knoxville. Over the lifetime of the penalty program, 241 hospitals have been punished in all three years, including the Cleveland Clinic; Intermountain Medical Center in Murray, Utah; Ronald Reagan UCLA Medical Center in Los Angeles; Grady Memorial Hospital in Atlanta; Northwestern Memorial Hospital in Chicago; and Brigham & Women’s Hospital in Boston. The penalties come as the Centers for Medicare & Medicaid Services also launches new requirements for hospitals to ensure that the use of antibiotics is limited to cases where they are necessary and be circumspect in determining which of the drugs are most likely to work for a given infection. Hospitals will have to establish these antibiotic stewardship programs as a condition of receiving Medicare funding under a regulation the government drafted last summer. See Kaiser's full list of 769 hospitals hit with penalties here.